Tychawn Johnson, my friend, colleague, and master teacher in New Jersey, responds to the question: Are we Listening? I invite you to listen as she describes her journey to become a more active listener on behalf of educators, children and families. Coaching has the greatest impact when it occurs within a positive relationship. Establishing, nurturing and sustaining relationships with members of the school community requires me to evaluate the impact of how I communicate. To be effective as a coach, I have to work at refining my listening AND speaking skills. Pausing to listen to others pushes me to reflect. Listening with intent and respect allows me to deeply think about what others say so I can respond with care. It deepens my understanding of diverse perspectives, facilitates curiosity and creative thinking, and empowers others to take risks as school leaders. For me, when I actively listen, I form more equitable partnerships with colleagues and for both of us, engagement deepens. I believe that deep listening within a school community leads to shared goals and pathways that lead to collaborative problem solving and resolutions that result in improved quality standards. Everyone has the ability to listen. Early in my coaching career, I listened to others to identify potential issues that I could resolve. The problem with this is that it had very little impact on children, teachers, families and program structures. I was creating my own roadblocks. I was constantly distracted by my thoughts and ego and not really processing information being shared with me. As a result, we weren’t working towards a common goal that could affect positive change. When I listened to identify problems I could solve, I was missing the bigger picture. As I realized that my efforts weren’t working, I stopped trying to fix others. By quieting my ego, I was able to gain clarity and understanding when listening to others. Realizing how my non-verbal communication profoundly impacts the speaker’s ability to feel validated makes me cognizant of my body language. To send the message that I am actively listening, I provide direct eye contact as a sign of respect, sit relatively close to build a physical bond, nod my head periodically to communicate that I am listening, and raise my chin slightly upward during times of reflection and thinking. I use these techniques to help me clear my static long enough to appreciate the contributions that school members contribute during conversations. Instead of working against one another, listening intently strengthens partnerships and our willingness to trust one another. Now I continue to work towards being an active listener. I reflect on the messages and exchanges during conversations to ask questions that inspire the development, assessment, and refinement of an implementation plan. For example, I ask myself: what is the goal for this conversation; what should I listen for; what might it sound like; do I want to engage in problem-solving; do I need to listen for more information to make a decision, or do I need feedback? Keeping the goal of the person I am listening to in mind helps me focus my attention and allows me to filter and interpret messages more accurately. My path to listening with intent and respect is just one way that has helped me to strengthen the relationships I have with stakeholders in my Early Learning systems. You can find your way. As we listen more, we can make a positive difference in the lives of young children, their families, and their communities. 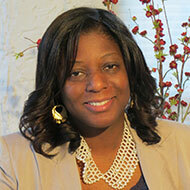 Tychawn Johnson is an experienced early childhood graduate instructor, coach, consultant, and workshop leader. Rooted in the importance of child development, assessment, teacher-child interactions and experiential learning, Tychawn is dedicated to making an impact on the lives of young children through the reflective practice of their teachers. She has extensive experience facilitating workshops and professional learning communities, staff development trainings, and mentorships.